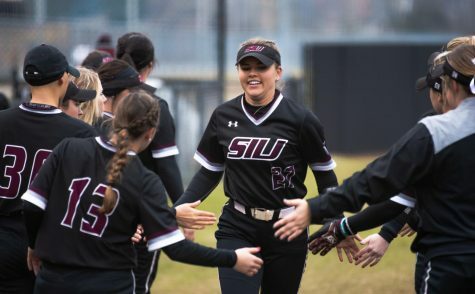 While Saluki pitching was dominant all day Saturday, the offense needed a game to wake up. 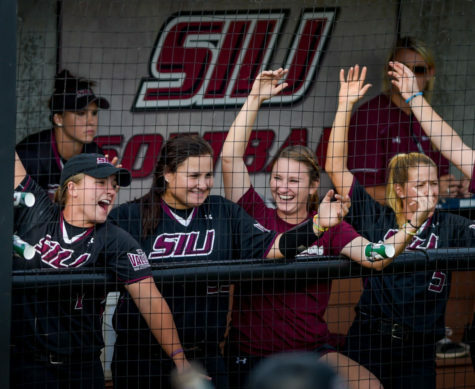 SIU split its 10th doubleheader this season, losing Game One 1-0 then rebounding to run-rule Northern Iowa 8-0 in Game Two. 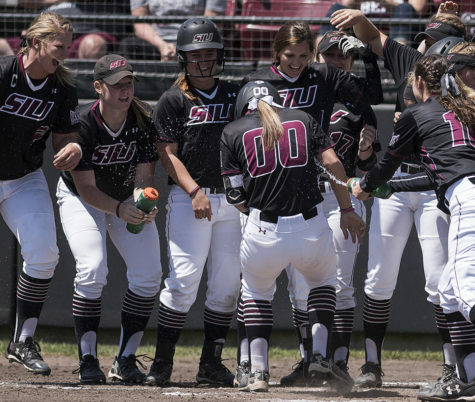 It was a special day for Saluki softball. Before the games started, the field at Charlotte West Stadium was dedicated to longtime SIU coach Kay Brechtelsbauer, making the win not only No. 200 in Charlotte West Stadium history, but the first at Brechtelsbauer Field. Once the first game got underway, both teams’ bats were silenced. UNI (36-16, 14-8 Missouri Valley Conference) senior pitcher Chelsea Ross (15-6) was dominant, throwing her third straight shutout against the Salukis. The Salukis (28-17, 12-9 MVC) had chances to score despite the limited hits, but went 0-7 with runners in scoring position. 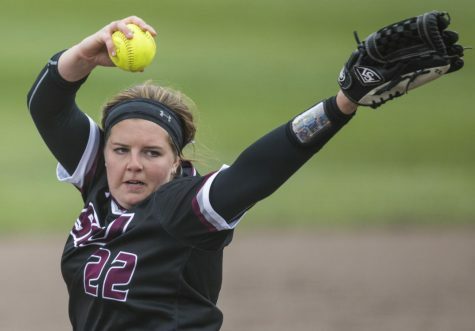 SIU freshman pitcher Brianna Jones (20-10) tried to match her and came very close. 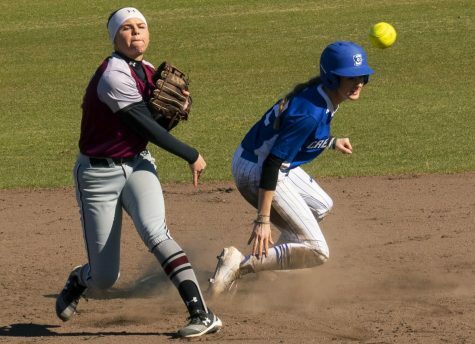 Jones allowed the only run in the game in the sixth inning after giving up three of her five hits in the inning. 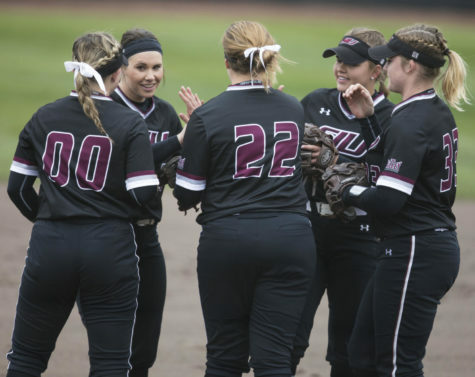 In Game Two, the Saluki offense came alive. 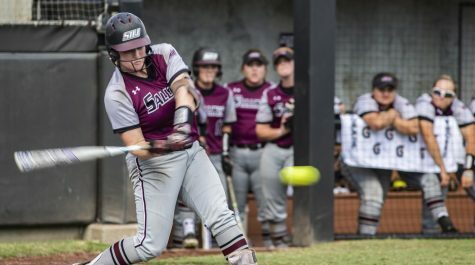 SIU scored eight runs to run-rule the Panthers in five innings. 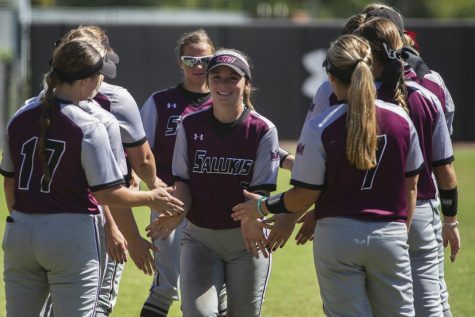 Even though they scored eight runs, the Salukis needed just one as sophomore pitcher Savanna Dover (8-7) pitched five scoreless innings, allowing just two hits. This was Dover’s fourth shutout this year. “I just wanted to get ahead of batters because I knew I could be more effective and give my team a better chance to win,” Dover said. After scoring two runs in the third inning, the Dawgs exploded for five in the fourth inning, batting around in the process. Sophomore second baseman Savannah Fisher, senior shortstop Kelsey Gonzalez and junior first baseman Shaye Harre picked up RBIs in the inning. UNI threatened to score in the top of the fifth inning with two runners on base, then sophomore right fielder Jessica Heese made a all-out diving catch in foul territory to end the inning. Freshman infielder Hanna Stam singled home the game-winning run in the bottom inning to push the lead to eight, ending the game in run-rule. 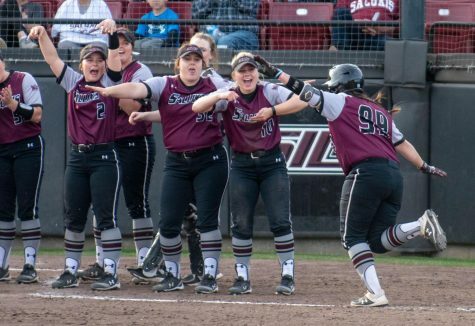 SIU will go for the series win at noon Sunday at the newly-named Kay Bechtelsbauer Field.